The purpose of this guide is to encourage the incorporation of gender-based roles and responsibilities in the design, implementation, and evaluation of health communication programmes. It outlines five steps for developing a health communication programme, and provides questions to help programme managers identify and address gender issues to ensure that gender awareness is part of a programme’s design, implementation, and evaluation. The five steps for developing a health communication programme are: 1) Analysis; 2) Strategic Design; 3) Message/Materials Development, Pretesting and Production; 4) Management, Implementation, and Monitoring; and 5) Evaluation. For each step, the guide provides questions to promote community dialogue that will lead to increased understanding of gender issues. It provides some key gender concepts and terminology and good practice examples from existing health communication programmes. Reference: Zaman, F. and Underwood, C. (March 2003). The gender guide for health communication programs. Center Publication No. 102. Baltimore: Johns Hopkins Bloomberg School of Public Health / Center for Communication Programs. Pp.1-28. 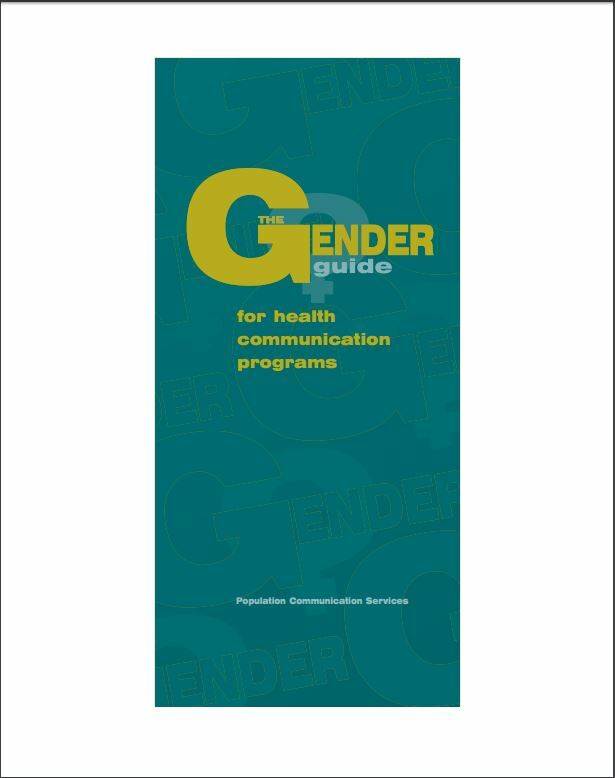 Available from: http://ccp.jhu.edu/documents/The%20Gender%20Guide%20for%20Health%20Comm%20Programs.pdf [Accessed: 19th September 2015].